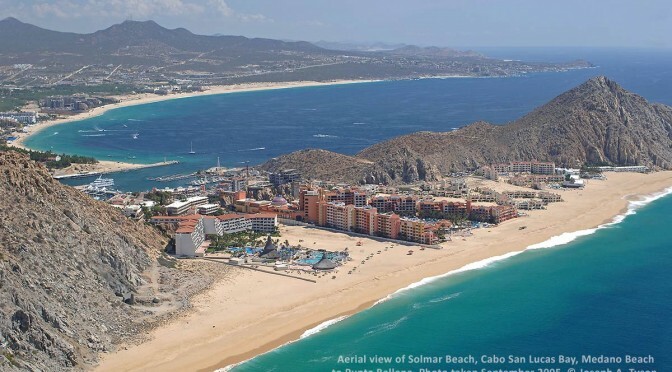 Finisterra Resort, Playa Grande Resort, Solmar Suites, Hotel Solmar are situated on Solmar Beach on the Pacific Ocean. The entrance to the new tunnel for Capella Pedregal can be seen on the lower left. 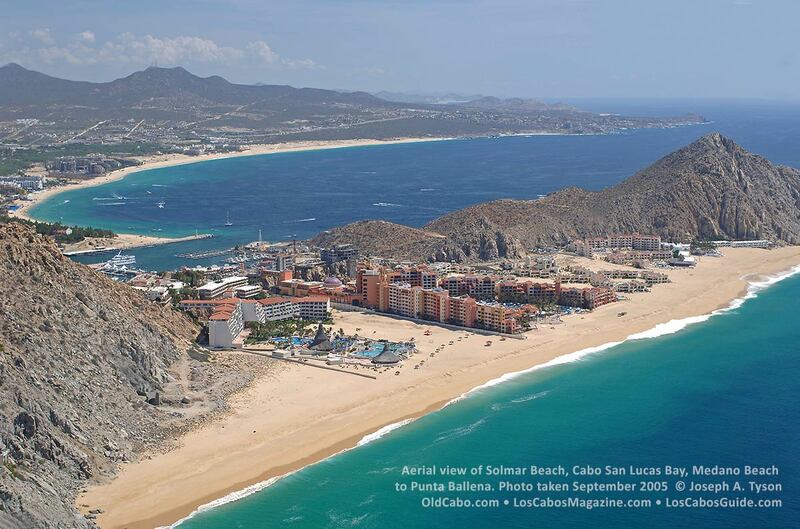 This view shows the entrance to the marina, Cabo San Lucas Bay, and Playa el Médano (Medano Beach) to Punta Ballena in the distance on the upper right.